Download and customize our construction worker resume example, and land more interviews. We also have expert resume writing tips for you. For entry-level construction jobs, check out this writing guide first. Can lift up to 100 lbs. Highly motivated and able to lead within a team environment. Starting out on the right foot is important, which means having a perfectly written Career Objective to start your resume. The Career Objective gives you an opportunity to let the hiring manager know that you have the relevant skills and abilities that they’re looking for in a new hire. Laborer with 12+ years of experience in construction, inspections, handy work, and repairs. …seeking a position as a Construction Site Manager. Possess a GED, and bilingual in English and Spanish. Inspect an average of five job sites per month. Distributed and utilized building materials, machinery, and tools in a team of up to 15 other workers. Maintained a clean and safe work area averaging 50,000 square feet. Performed maintenance and construction work for a large grocery wholesaler serving more than 3,000 visitors per day. For even more action verb ideas, check out the longest action verb list in the universe here. Writing the education and additional skills section is the same process for other reverse chronological resumes. If you’re still uncertain of how to write these sections check out this step-by-step guide. With these tips in mind, you should be able to find a job in the growing construction and laborer industries. And don’t forget: you’re also going to need a construction cover letter! 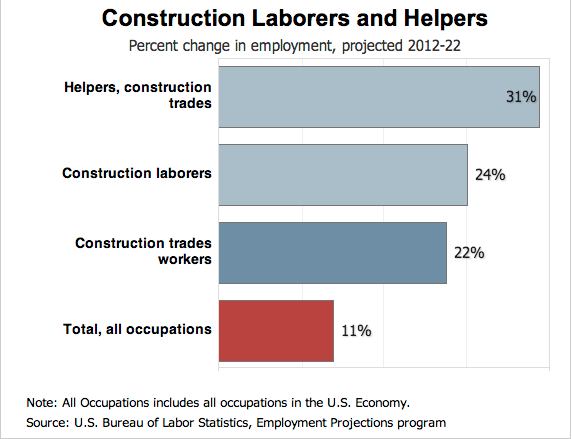 Entry-level Laborer resumes should focus on education and knowledge. Specific safety or internships are great resume builders to include as well. You should also include work experience and acquired skills, but they should be secondary to your Education section. Don’t start with your professional experience section, that’s only for professionals! Do start with your most recent educational experience since that’s likely your most recent relevant experience. Don’t forget to include a career objective just because you lack experience. Do write a career objective that emphasizes academic knowledge, intrinsic personal skills and your highest degree achieved. Don’t ignore previous work just because it was part-time or an internship. Do list any experience, even if it was just during the summer, which required laborer skills that will be appreciated by future employers. Mention your educational experiences first, followed by professional experiences that include part-time work and an internship. Don’t discredit your previous experience just because it wasn’t full-time. Don’t discredit your previous experience just because it wasn’t full-time. Many entry-level construction jobs are attained through apprenticeship programs and experience, so make sure to include these experiences as well. Read: How to Write an Achievement Oriented Resume for ideas on how to use action verbs to describe your previous experiences. 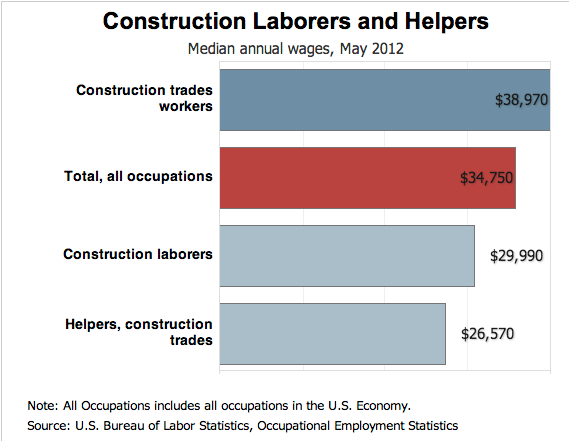 Construction professionals have many different levels of educational experience. As mentioned, apprenticeships and relevant work experience are useful, however formal training can be particularly valuable. You can expect an average salary of between $26,570 and $38,970 should your resume successfully gain you employment. What Makes a Strong Entry-Level Construction Resume? When looking for entry-level construction jobs, there are three particularly strong points to include on your resume. Emphasize your ability to work in a team. Include any previous job responsibilities that had you cooperating with other coworkers. Working on a construction site can be dangerous, and communication is key to avoiding on-the-job accidents or mistakes. Those in charge of hiring construction workers need to know that they can rely on you to communicate effectively. 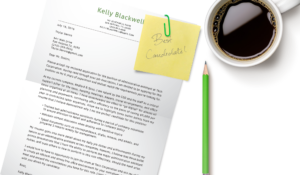 When writing your resume, include proof of your communication skills. Having the relevant certificates or education can make all the difference when applying to entry-level construction jobs. Be sure to include any construction-related knowledge that you may have.